Perched atop a dramatic bluff in Princeville on Kauai's Northshore is Sealodge D-9, a real gem. This romantic, private, and peaceful get-away is well e-quipped and well-appointed. It will provide unforgettable memories of nature's beauty. 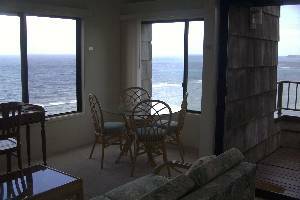 Watch sunrises, sunsets and views of the "Bali Hai" mountain vistas,and migrating whales, turtles, and rainbows. And in the evening, use our "Reflector Telescope" to view the star-filled night skies and the moon's surface. And later, let yourself be lulled to sleep by the sound of the breaking surf. Enjoy the oceanfront outdoor swimming pool and the picnic and barbeque area. And for the adventurous, walk down the private trail to Sealodge Beach. 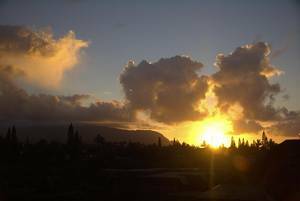 Mahalo, and come visit to feel the "magic" that is Kauai, on our garden island paradise. 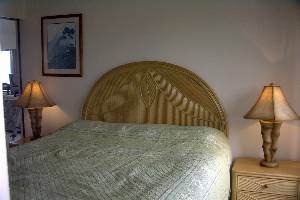 CA King Size Bed; Private trail to Sealodge Beach, Binoculars, Reflector Telescope, free parking, beach mats, bath-linens, bed-linens, alarm clock, books, iron/ironing-board, hairdryer, local maps, Free local calls. Oceanfront dining...see the reef...see any rainbows? 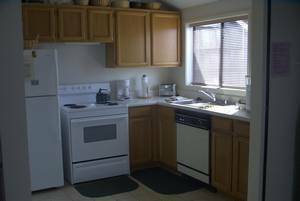 Those days that you want to stay-in, have comfort knowing you have a well-equipped kitchen and washer/dryer in unit. View from inside condo of sunset and Bali Hai mountain vistas. This was a perfect 2nd island stop during our nineteen day honeymoon (1/23/09-1/30/09). The views are absolutely the VERY best!! The whales were easily viewed every day from all windows, there is nothing nicer then having breakfast watching the whales from your table. The condo is very nicely stocked and very comfortable, very private. If you are looking for a romantic place you would be hard pressed to out due this place. This has to be the best place in Sealodge. We thoroughly enjoyed staying at SeaLodge D9. The views are just like the pictures, the furniture and the bed are comfortable, and the kitchen was suitably equipped and clean. We would suggest that Sea Lodge upgrade the outdoor barbeque facility. There are two flights of stairs to negotiate to reach the condo, but that was not an issue for us. The reward for climbing the stairs was the great and private view! We hope to return to this condo someday. What a great place to stay! Incredible views, perfect location, and a great value. We hope to come back soon. Aloha! 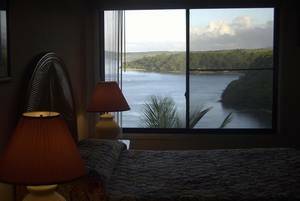 We have been to Kauai several times and this is the loveliest place we have stayed. So peaceful and relaxing and of course the view!!! We will be back! Mahalo! 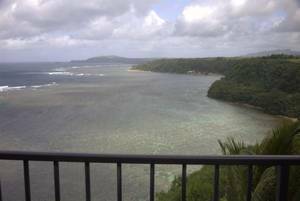 Wow - an incredible view from this fantastic condo! We have truly enjoyed our stay here and also seeing so much that Kauai has to offer. Thanks for sharing your lovely place with us. Mahalo! This is one of the best condo home that I have been in. The view is just magnificent. . .especially with the sunrises and sunsets. Best in the Sealodge Village. Will be back! Mahalo! Mahalo for sharing your beautiful home. The sunrise was awesome and loved the tradewinds!!! We hope to return here, one week is not enough to see all of this beautiful place. 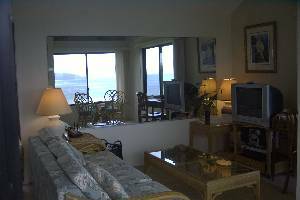 Mahalo for allowing us to stay in your beautiful condo! What a wonderful way to experience Kauai/Hawaii for the first time. We hope to be back again soon. Sealodge beach is such a beautiful hideaway...some of the best snorkeling I've done on the island, and we were lucky enough to share the beach with a monk seal one afternoon. Thank you for sharing this sacred beautiful space. Restorating, healing, fun! I'll be back if you'll have me. It was such a surprise to have such a magnificent view! Staying here really added to our enjoyment and we will be back! Thank you! Fantastic! Attention to details is commendable! Great views! Thanks so much! This is our first time to Kauai-to celebrate our 25th anniversary. Couldn't have been more pleased with D-9 at Sealodge. We loved it here! The green, lush vegetation and gorgeous, warm ocean is a very pleasant change from our Arizona home. Loved the scenery and snorkling (for the first time). Thank you. Oh, the view, the view -- warm sunrises and moonlit evenings...simply magical. Perfect setting for a honeymoon. After a day of activities, we eagerly return to D9 to enjoy coctails and dinner over the ocean bluff. We love Kauai, Northshore, and D9. It has truly been our home away from home. P.S. Secluded Sealodge Beach is a gem. Mahalo for sharing your place with us! All I can say is WOW! What an experience inside & out. Thank you so much for sharing your home away from home. There is heaven on earth surrounded by the teal green sea. The magic of your beautiful place will call to me in my dreams and beckon me back. This was a terrific "home away from home." The lanai was perfect and we enjoyed eating out there. We loved being on the ocean. It was hard to get going in the morining and leave this place. Mahalo! We loved our visit here and couldn't have been more pleased with the condo. We watched the whales and the rainbows from the lanai. Sorry to have to leave. We'll be back soon! Thank you for sharing your paradise. Both the island and the condo were more than we imagined. Too much to see in just a few days. We will be back . Thank you so much for sharing your home. What a great way to start our Honeymoon. This is exactly what we hoped for. Great condo and breathtaking views. Thank you for having such a homey place for us to relax in. Our favorite meals were here in the condo overlooking the ocean - pure perfection in every way! Thanks for sharing your awesome condo. Hope to be back someday. Hope to be back again before long! Albatrosses and whales right from the windows - amazing! Fresh papaya with lime for breakfast,and watching sunrise. Cooing of the doves, the mountains in early a.m.
What an awesome view this place has! We had a wonderful time on beautiful Kauai. We enjoyed this place a lot - very cozy and comfortable. We hope to come back soon. Regretfully we depart tomorrow. We've really enjoyed our stay at this incredible window on the sea and sky. We have loved this place! Stayed at the Princeville a few nights, but preferred this place hands down! Wonderful candle lit dinners over the reef, even stormy afternoons with a book, adventures all over this beautiful island. Thank you for sharing your home. We were so lucky to have found this condo. What a beautiful escape from reality. Enjoyed every moment and waking up and looking right at the ocean and sunrise. 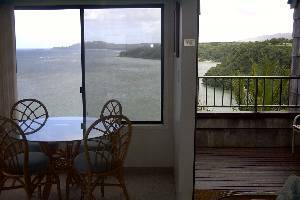 We had a wonderful honeymoon here at Sealodge D9. Thanks for sharing your home with us. We can't wait to come back. Thanks for the spectacular sunrises and sunsets! This really is the best unit in the building. It has the best view and is one of the few that I can see that is 100% private. A great location for exploring the north end of the island! Maximum Occupancy of 2 guests only, please. Cancellations and Refunds: As in Rental Agreement.